The first time that Accufit Designer runs, You will be presented with a series of forms that should be completed to customize the program for your shop. Because some of the setup data is critical to the operation of the program, some of these forms have been populated with my data. Please take the time to complete this data after you have finished reviewing the tutorial. Below is the first of four setup forms. 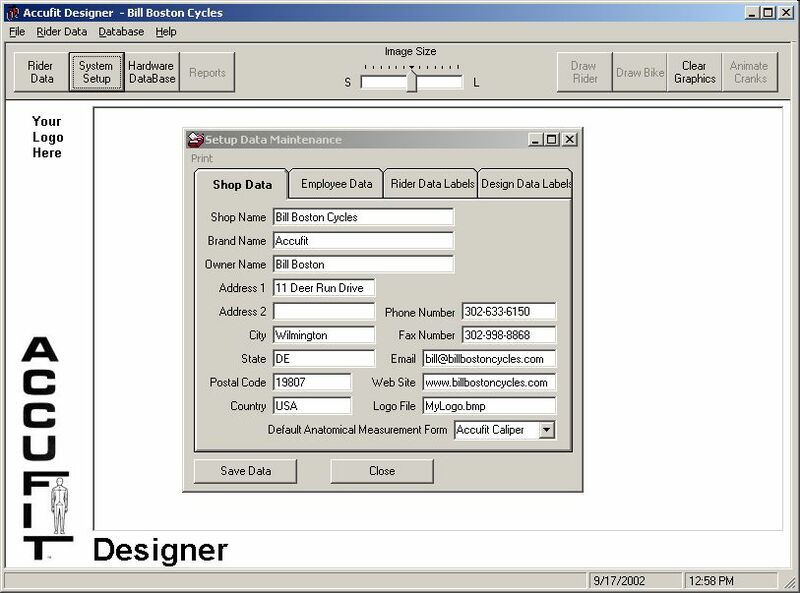 The Shop Data form contain information about your business that is used to customize the main screen as well as to complete printed forms and reports.